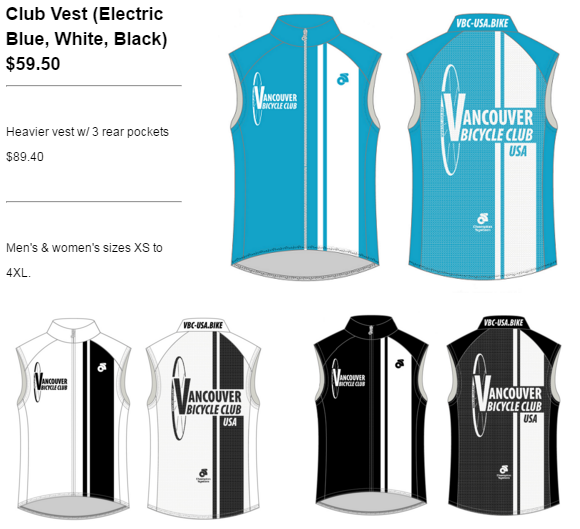 Sizing charts available for CLUB, RACE and WOMEN'S cuts. 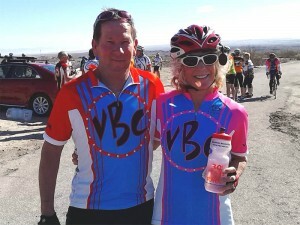 Donna and Joe went all the way to CA for this special on-location shot. 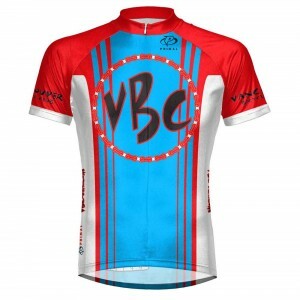 Some sizes of our old VBC jersey are still available. Contact us! 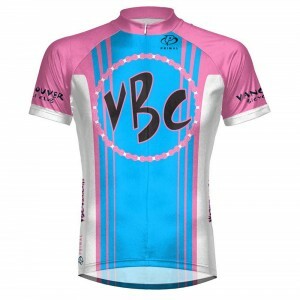 The VBC jerseys are high-quality lycra, short-sleeved jerseys made by Primal Wear. 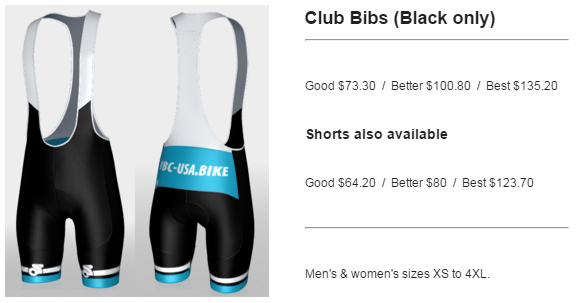 They are available in both Men's and Women's cut. 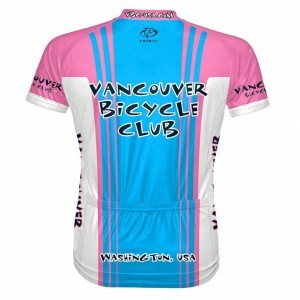 Women's are pink and blue and mens are red and blue. 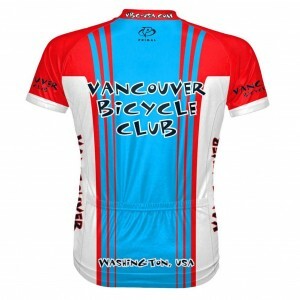 Contact our apparel department with any questions or to check on availability. Don't wait - send in your order now to reserve what you want. 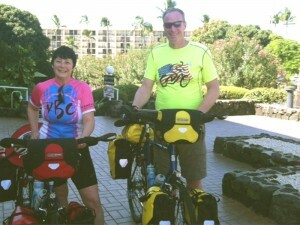 Be ready for all those "Show Your Colors" rides like THESE HAPPY CUSTOMERS, Joe and Donna! 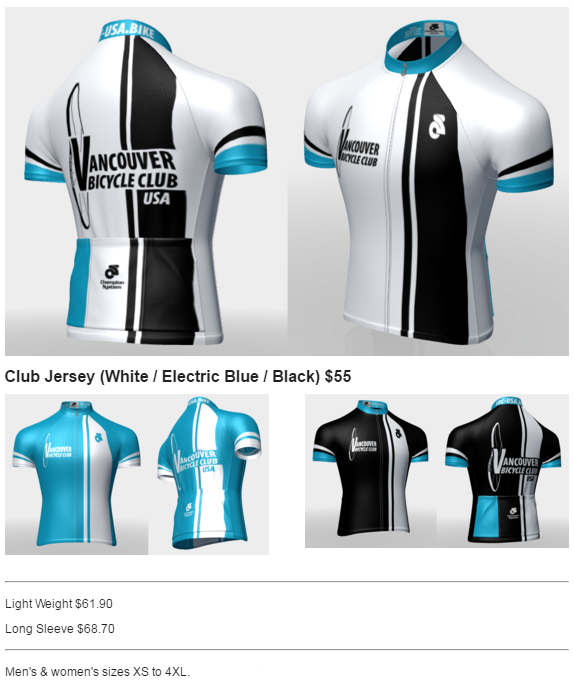 You may pick up your jersey when the order arrives (you will be notified by phone), or for an additional $5.00, it can be shipped to you.